The trade volume and the exchange in the export- import figures of Turkey and its trade partnership countries have been very positive in the last few years. Germany ranked top 1 in Turkey’s export countries list with 15.1 billion USD in 2017. Exports reached $ 12.9 billion in 2008 with this country, which makes an increase of 17% within the period. In 2008, approximately $ 3.7 billion worth of “motor vehicle and machine parts” exports were made. In 2017, exports in these items rose by $ 5.2 billion and maintained its peak in export share. England ranked second with 9.6 billion USD exports volume in 2017. In 2008, exports of 8.1 billion were made to the United Kingdom, an increase of 18.5 percent in that timeframe. Exports to the UK increased by 1.5 billion USD from 2008 to 2017. Exports of “motor vehicles”, with the highest share, reached 2.5 billion USD from 1.6 billion USD. The United Arab Emirates ranks third with 9.1 billion USD in 2017 in the ranking of Turkey´s export countries list. In 2008 reached $ 7.9 billion, while export volume increased 15 percent in the 10-year period. During this time precious metals and jewelery exports increased by 500 percent to 6.7 billion USD. When we look at Turkey’s total exports from 2008 to 2017 it is observed that in 2008 the value of 132 billion USD rising to 157 billion USD in 2017. 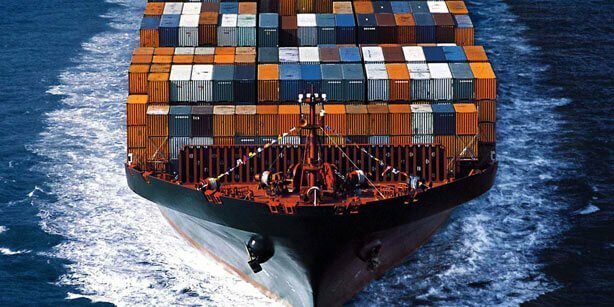 Turkey’s total exports increased by 19% in the last 10 years. Germany, Britain and the United Arab Emirates, the top three exports in 2017, represent 21.5% of total exports. China was the country with which Turkey received most of the import goods, with 23.3 billion dollars in 2017. While “metal, machinery and electronic goods” imports reached 7 billion dollars in 2008 from China, in 2017 this number increase more than 50% to 11.1 billion dollars. The number of smartphones imported from China increased by about 75%. Germany ranked second in imports with $ 21.3 billion in 2017. While imports of motor vehicles and machine parts worth $ 7.8 billion in 2008, imports in this item rose to $ 9.4 billion in 2017. With Russia, who has a very significant importance in Turkey’s natural gas imports, with 19.5 billion dollars in 2017. When Turkey’s import figures from 2008 to 2017 are analyzed, imports amounted to 233.7 billion dollars in 2017 and 201.9 billion dollars in 2008. Imports increased by 15.7 percent in this time period. The share of China, Germany and Russia in total imports, the top three in 2017, was 27.4%.